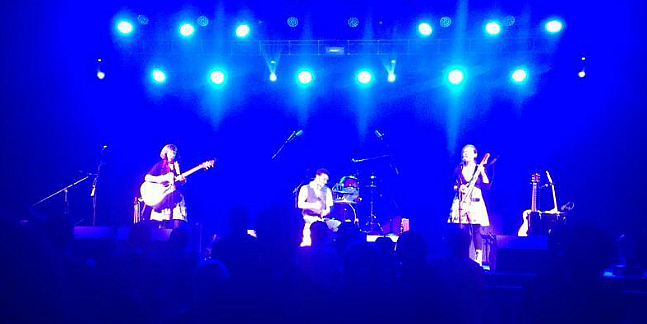 The Accidentals began in October 2011 when Katie Larson (15) and Savannah Buist (16) met in the Philharmonic Orchestra. While working on a duo project they realized they had everything in common...the same love of quirky music and strange instruments. Both of their fathers were pianists and their mothers were singers. They both played several instruments (Katie plays accordion, acoustic/electric guitar, cello, ukulele, piano, organ, glockenspiel, and kazoo "yes kazoo". Savannah plays violin/viola, ukulele, acoustic/electric guitar, bass, piano, and musical saw) and more importantly, they both loved to write. They wrote thirteen songs in two weeks and recorded their first CD of original material three months later. "Tangled Red and Blue" sold over two thousand copies in 2012 and is in its second printing. The reviews say, "Tangled Red and Blue is a compilation of quirky melodies, haunting harmonies, and powerful lyrics that stay in your head for days!" “Bittersweet” recorded with award winning producers in Nashville and Indiana and realeased in June 2013 is it's fifteen track successor and according to UK Magazine, Leicester Bangs: "they’ve effortlessly avoided any suggestion of the dreaded “sophomore album slump” with a collection that gets under the skin and makes itself very comfortable. The lyrical flow is intriguing and absorbing – and so complex as to draw comparison to Joanna Newsom in full poetic flight." The Accidentals have been booked solid for the last two years. They have played for thousands of people on television, radio shows, and over 300 live shows, 28 Festivals, and have opened for acclaimed artists like Andrew Bird and Sixto Rodriguez! Z93 FM's Matt Mansfield describes The Accidentals as "A duo giving an edge to folk with unique instrumentation. A must hear! Songwriters need look no farther to find a new pairing to be jealous of,especially with such a bright future ahead of them." They have come a long way in a year and are excited about what the future holds. Katie is currently a Senior at Interlochen School for the Arts and Savannah is currently in her first year of College for Film Scoring. They were recently contracted to compose an original score for an independent film called "One Simple Question" to be released in 2013 and their song "The Silence" has been selected for use in a second indie film. They are in the process of launching the new album "Bittersweet" and looking for distribution, marketing, and hoping to tour Europe in the summer of 2014. We are Music Nerds. We are like a small gang with fingerless gloves, converse, leather jackets, and a Uke. We are available for any gigs that serve food. 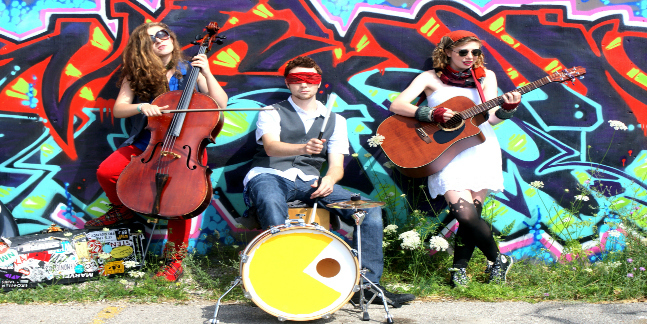 The Accidentals are Katie Larson and Savannah Buist, a Traverse City, Michigan duo who play a captivating brand of accessible, heart-on-their-sleeve alt. folk. Melody and hooks are ever-present and the teenage pair sing their songs with a quirky charm. They originally got together in late 2011; they hit it off musically almost immediately and released their acclaimed debut “Tangled Red and Blue” in 2012. “Bittersweet” is its successor and they’ve effortlessly avoided any suggestion of the dreaded “sophomore album slump” with a collection that gets under the skin and makes itself very comfortable. Their youthful enthusiasm is utterly infectious, and they sound like they’re enjoying themselves throughout the album’s 15 tracks. They both play a variety of gizmos, from traditional folk and songwriting instruments like guitar and piano, to more exotic devices such as glockenspiel, kazoo and musical saw - together with a selection of serious strings, including violin and cello. The diversity of instrumentation adds several layers and much warmth to the recordings, and the songs flourish in their lush surroundings. Recorded with major producers in Indianapolis and Nashville, their professionalism has helped realize Larson and Buist’s ambitious artistic vision, and delivered a wealth of standout material. They begin with “The Silence”, an upbeat arrangement propels the song onwards and upwards, and the lyrical flow is intriguing and absorbing – and so complex as to draw comparison to Joanna Newsom in full poetic flight. Then there’s the title track, which arrives fully formed with a shuffling rhythm and rich harmonies, and enthralls a little more with each listen, and “Bulletproof Glass” brings out their equally compelling acoustic-indie inclinations. "These two high-school girls have been blowing up around northwest Michigan, becoming one of the most popular local artists over the past few months. Savannah Buist and Katie Larson write indie-pop-folk tunes with such a freshness and innocence that only teenagers could, but they do so with the confidence and talent of artists much more experienced." 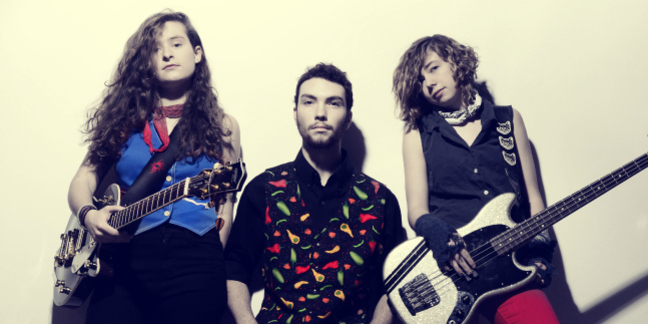 The Accidentals are blowing up the Northern Michigan music scene and there is no doubt why. I had an opportunity to sit down and chat with them during a break in one of their seven shows this week and I asked them to tell me why I should listen to their album. This is what they had to say. "We try to write unique songs that people can relate too or get something from. We tend to have catchy, happy melodies that tell a deeper story or relay a message. Its like when you are joking with somebody, but you really mean it. For example, one of our songs, Enlightened Sexism, was inspired by a book analyzing sexism in modern pop culture. It is about resisting stereotypes and media pressure to look a certain way. The message is simple. Beautiful doesn't come in a bottle, nor does self worth. We are all diverse and that is beautiful. We should learn to accept and appreciate one another for our differences." From the mouths of babes. "Musicality, originality and melodic beauty combine with a welcome, and unexpected bite to clever lyrics is the best way to describe The Accidentals, A duo giving an edge to folk with unique instrumentation. A must hear! - Songwriters need look no farther to find a new pairing to be jealous of,especially with such a bright future ahead of them."